A few years ago, I developed a course for Olympic athletes, as part of the International Olympic Committee learning initiative. I’m delighted to say that I’ll be developing a new version of this, which will feature all things digital. As a teaser, check out this Dos and Donts list for using social media as an athlete. With over 35,000 views, this video is my most watched on YouTube, but aside from being an amazing display, what was especially beautiful was the fact that Intel made its show a daily feature within the Olympic park, taking place after the medals ceremonies. In so doing, it may have achieved another Olympic first, by making part of the Opening Ceremony freely available to anyone who happened to be in the park. Here are some of my other videos from PyeongChang too. The PyeongChang 2018 Olympic Winter Games was my 10th in total, Winter and Summer, 11th if you include the Youth Olympic Games, which I attended in 2014. Each Olympic Games is unique and, like a good novel, has story after story which characterise them in extraordinary historical terms. With Sydney 2000, it was the controversy around the contested land of Homebush Bay, juxtaposed against the eventual lighting of the Olympic cauldron by Cathy Freeman. In Athens 2004 it was the feeling of the Games coming back to their origin with the shot put taking place within the Ancient stadium of Olympia, with Beijing 2008, China's first Olympic Games as host, it was the magnificence of the Opening Ceremony, set against the concerns about media freedom and human rights. 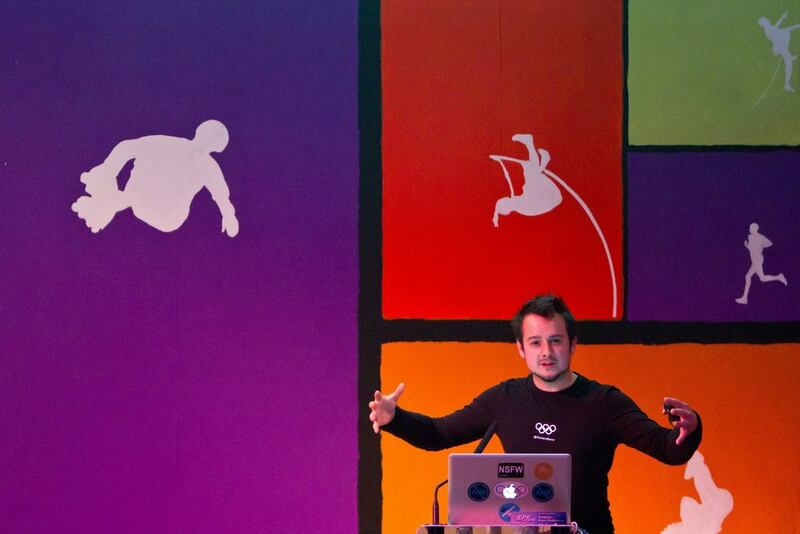 For London 2012, there was the transition from media to social media as the tipping point in content consumption, along with its controversial logo which made strides to transform how branding operated around the Olympic programme. 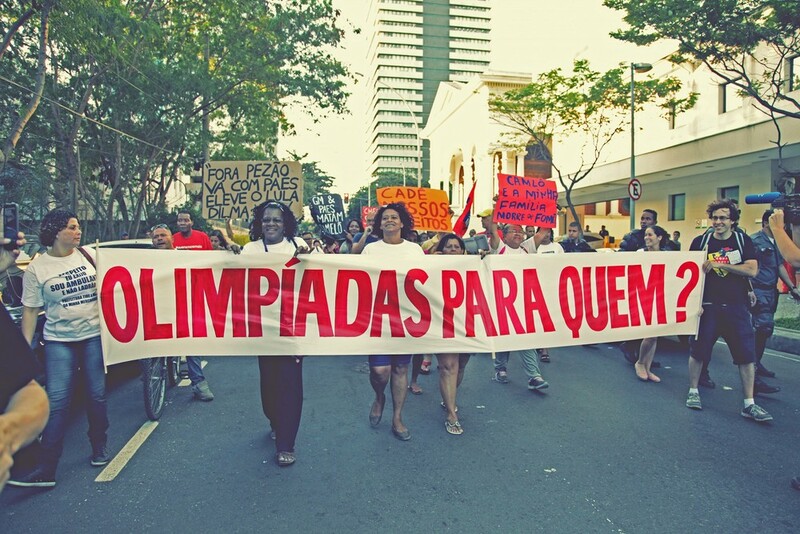 For Rio 2016, the first South American Games, discussions ensued around resident rights to remain, alongside concerns about corruption and the political turmoil surrounding the nation. These are just some of the stories that operate around the Games, some of which are matters of deep social concern, while others are snapshots of a society that help us understand more about a location, its people, and how the world makes sense of their values and political history. PyeongChang 2018 was perhaps the most extraordinary of all in recent times, in terms of political discussions about how the Olympic Games contributes to global diplomacy. While sports officials are modest in their claims and expectations for Olympic participation to lead to significant political change, there does seem to have been an important series of outcomes from the conversation between North and South Korea, resulting from Olympic participation. I anticipate that this will be studied for many years to come, but watching what happens within this region for the next 5 years - and for future Olympic Games - will be fascinating. 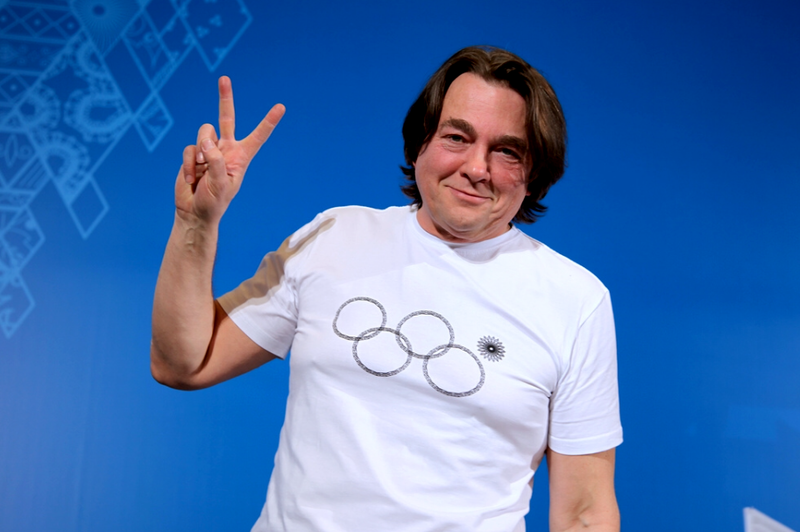 While I was in PyeongChang, I made a series of videos, which cover subjects from virtual reality to Olympic diplomacy. You can find these on a dedicated page here. Today marks the 33 years since the Opening Ceremony of the Sarajevo 1984 Olympic Winter Games and so I dedicated my afternoon to capturing some of its history. The most remarkable location is the Bob Sled track, which was built in concrete and survives to this day. It remains now as a living monument to the Games, although for the locals, it feels also like a forgotten place. Draped in overgrown foliage and graffiti, I learned that it has become a popular place to come walking and, while the snow was too deep to walk its length today, I had the chance to see a few of its turns. It's hard to know how to place this as an Olympic legacy. It has become a tourist attraction, that much is clear. Yet, it does not resonate with conventional legacy language. After all, it has become a line of desire, rather than a purposeful sports facility. However, I think it is all the richer for this, and there is something truly authentic about it, as a manifestation of cultural heritage, re-worked by the local community. Clearly, the 1990s war broke continuity for the city, in terms of many things, but also that Olympic legacy. The cable car running from the city to the mountain venue was lost - but is being re-built I am told. Also, many Olympic buildings were destroyed. So, there is something also compelling about the robustness of this unusually permanent concrete bob sled run. So, I am comfortable with talking about this monument as a feature of Sarajevo's Olympic legacy. Like the most effective legacies, they have to arise from a process of re-negotiation, re-ownership, and be sites of active value creation for a community. This area enjoys each of these features and, for this reason, i'm sure it will continue to be of historical significance and worthy of protection. And if that wasn't enough, you can also mountain bike down the run, which has to be completely awesome! My trip here has been all the richer for venturing out to see this amazing site and I hope you will agree that there is a beauty to this Olympic heritage, even if it was not the one intended when it was imagined. It's hard to know how to place this as an Olympic legacy. It has become a tourist attraction, that much is clear. But it does not resonate with conventional legacy language. After all, it has become a line of desire rather than a purposeful sports facility. Yet, I think it is all the richer for this, and there is something truly authentic about it, as a manifestation of cultural heritage, re-worked by the local community. Clearly, the 1990s war broke continuity for the city, in terms of many things, but also that Olympic legacy. The cable car running from the city to the mountain venue was lost - but is being re-built I am told. Also, many Olympic buildings were destroyed. So, there is something also compelling about the robustness of this unusually permanent concrete bob sled run. As my 10th Olympic Games, Rio 2016 was a long time coming, having seen it through from bid stag to completion and, in recent years, working more closely with the media operations team at the International Olympic Committee. While here, I shot around 100gb of photographs, attended around 20 sports, wrote 4 articles for the news, interviewed for around 20 different outlets, re-designed and wrote for a magazine, and continued by longitudinal research into media change at the Olympics, this time focused on social media and new forms of broadcasting. Articles to follow. I also made a film about life in one of Rio's favela, and even managed to publish a two page spread in the Times Higher Education about social media (unrelated to the Games!). It has been an epic fortnight, my most productive Games yet and it is possible thanks especially to the University of Salford, Manchester , which continues to support me tremendously in all my endeavours. Why are the #Rio2016 Olympic Games fans booing so much? One of the slightly more unusual stories I've interviewed here, while in Rio, but I have been very aware of the occurrence. Here's the BBC piece on why fans are booing and what it tells you about Brazil. For the next 17 days, I'll be working at the Rio 2016 Olympic Games. This will be my 10th Olympic Games, including Winter, Summer, and Youth, since Sydney 2000. At every Olympic Games, I have multiple roles and agendas. 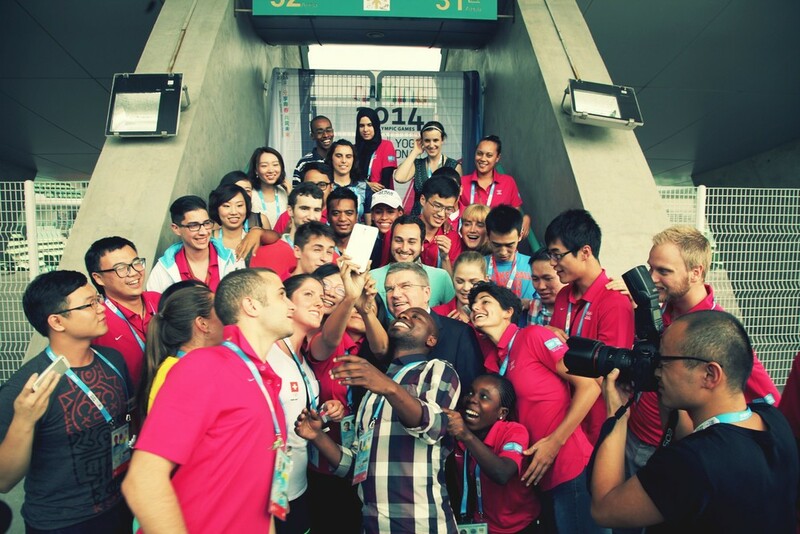 Since London 2012, I have been working with the IOC Young Reporters' Programme, led by Anthony Edgar, who is the IOC's Head of Media Operations. Understanding how the media work is one part of this work and it's really ethnographic, as I work among the journalists. I also use the opportunity to develop my own practice as a journalist, but I'm not nearly in the same category of those people who work on assignment after assignment, day after day. Over the years, I have got to know quite a few of the best journalists that come to the Games and they have an extraordinary work ethic. Most accredited people at the Games - if not everybody - has a very specific role to play and often only see a fraction of what happens around an Olympic city. Part of what I try to do in my research, is obtain a holistic sense of the operation, which means going to sports, press conferences, local neighbourhoods, and understanding how the city runs the Games. I'll also give a talk at a conference while here, and interview a lot for the media. It's a full on fortnight. The last 8 Olympic Games are being written up in my next book, Sport 2.0, coming out with MIT Press next year. It's the end of an era - the first decade of social media - and it's fantastic to be at yet another Olympic city. This will be my third book to write about the Olympic Games, but it goes much broader than that, into all things digital, from social media to virtual reality. There's no better way to get to know a city and its community than to examine it through the lens of the Olympic Games and I look forward to leaving Rio a little more of a Carioca than before I came. Show time. Last week, I was interviewed by the Danish media outlet Zetland, a cool new online portal for all kinds of radical news. This feature was about the possibility of a Danish Paralympian being competitive for a medal at the Olympic Games. While Oscar Pistorius may have been the first prosthetically enhanced athlete to take part in the Olympic Games, Markus Rehm may be a medal contender, providing he is allowed to compete. Here is the full article, in Danish. Google translate doesn't do a bad job. My slides from the 7th International Olympic Committee Athletes' Forum, which focused on the use of media to empower and enable people. Also, here is the programme from the event. This week, Rio marked the 1 year to go anniversary before the opening of the Olympic Games. I always try to get to an Olympic city ahead of the event and spent my time here attending the official press conference of the organizers in the morning, and the civic protest in the afternoon. Here's what the latter looked like. It was a small group and very peaceful. It was also not focused only on the Olympics, but instead a range of groups were present, all of whom have complaints that may be tied to the wider changes around the city. Today saw the launch of the International Olympic Committee MOOC on Sport and the Media, which I led. We have some of the world's leading media pros in the course, including the IOC's Heads or Communications, Media Operations, and Social Media. We also have ABC Broadcaster Tracey Holmes, photographer extraordinaire Nick Didlick, awesome video journalist Yuval Lion, and athlete Jonathan Edwards MBE. The course is free to access and is designed to guide athletes towards a career in the media, after they conclude their life in competition. Subjects covered include broadcasting, writing, photography, video journalism, corporate communications, social media, and future media developments. Something for everyone! I have been in Nanjing for 4 days now and we have done our intensive training. Time to get out in the field. The 35 Young Reporters are extraordinary, so talented. I look forward to seeing what they can produce. Follow their output here. This week, I was in Paris for a meeting convened by the International Olympic Committee's Head of Media Operations Anthony Edgar and outgoing IOC Press Commission Chair Kevin Gosper. It took place at AFP Paris and focused on the future of sports and news reporting. As a private meeting, it aims to set out key priorities for the IOC to consider around the future needs of the press at the Olympics. Debates were open and the climate of the meeting aimed to promote sharing among what otherwise might be seen as competing organizations. It's a really unique meeting and it was a privilege to speak there for the second time running. Last week, my book 'The Olympics' was published in Russian by the Russian International Olympic University, the educational arm of the Sochi 2014 Olympic Games organizing committee. This is a great achievement, especially as the previous book translated by RIOU was Pierre de Coubertin's writings. Talk for the IOC Future of News and Sport Reporting meeting, London 2012 de-brief, at USA Today, New York City, April 2013. I'm delighted to be giving a keynote at this @BritishLibrary event on 5th Nov. It's especially nice to focus on Rio 2016, just after the London 2012 Games, and to speak to a broad brief , rather than just one topic. Social change is certainly one thing any host city can take for granted in their hosting process. The challenge is to ensure positive social change happens and this is a much disputed outcome of the Olympics, no matter how many medals a home team wins. Panel: Politics and Security Are the games a means to implement government policies? Will the events become focal points for international and local political conflicts? Do the events serve as a catalyst for developments in cyber security and surveillance? Panel: Economic Impact What impact do these events have on economic development and growth? What is the impact of these events on employment and labour unions? What is the impact of these events on small business and the informal market? How is the housing stock and housing market effected by such events? Race, Media and Identity What kind of racial imagery and ideology do the games reproduce/challenge? Are their different impacts of the games along racial and gender lines? What kind of coverage does the media produce about the games and why?